What Happened to the Blogtrovert? Esteemed Readers, What Have You Been Up To? I had struggled previously on what to write and how to start. I kept on typing and deleting for days. This post has been an imagination, until the word consistency sprang up! Oh well, she is alive! I’m sorry if you’ve visited many a times, then left disappointed. Personally, I never knew staying away from my blog would be this critical. It’s almost two months since my last post, which wasn’t one of my many usual posts. School; If you needed a major reason for my cold silence, then it’s definitely school. Final year is really neck breaking. I have to dedicate more time to school and make up for my past… Oh well! A little stepping up can get me off the sea (I hope you understand). Apart from school, I’d say cryptocurrency has been buying my attention for a while now ( a story to share… Stay tuned). The poor network coverage is yet another crazy reason. 2018 hasn’t been an easy one, and to avoid sugar-coating my experiences; this year has been so crazy! I can’t tell you how much I want this beautiful year to come an end! The past seven months were embodied with stories that have successfully overloaded my brain, now there’s a strain need to pour them all out, but you still have to wait, just a little longer to read all that I’ve got to share. Moving away from reminding you of the beautiful stuff I’ve got to share with you, it’s official; I’m months away from being a graduate! I can’t wait, I really can’t wait! School has been a necessary pain on my neck! Sorry to say, but that’s my story. I’m not a fan of school, especially with the hustle and bustle of an average student in a developing country (story of my life). I only do hope that my best is good enough to make me good enough to graduate successfully. If you notice, my blog has gone through series of changes since I last published a post. my blog design has changed to a much more better one, I actually do love my new look and I hope you do too. my Profile picture has gone through changes too and I’m working really hard in protecting my blog from some puny hackers! Apart from working on my blog, I am also working on building my portfolio and mastering few skills I intend offering as services to people who need them. I successfully moved a blog from blogger to wordpress seamlessly. It’s working perfectly, and you will never know that it was once hosted on blogger. I’ve probably left everyone else out in the cold for long, so today, the blogtrovert had to show up, break the chain and the ice to let her readers know that the blog is still up and running, there is no plan of abandonment or retirement… You and I haven’t explored half of what I want us to explore. There is more coming, and I hope you can be patient enough to watch me unveil a new phase in my life. Let’s not forget about you! Dear beloved reader, I hope the past months have been good on you? I can’t wait to be back! I’m sorry I’ve been away for so long… It’s a necessary evil, I had to divert the time I spend on my blog each day to a much current goal. It’s all gonna end this year hopefully… But I truly want to know what you have been up to lately, I will respond or react. Just a little more longer, I will be back! Thanks to my school’s (slow) calendar, September should be the long awaited month… I won’t forget to share that special day with you guys, I promise. You have your way, make this last battle worthwhile… Good luck and congratulations. I’m also sorry I’ve not been reading your blog lately, Onome. I love that you’re determined and are CONSISTENTLY working to become better at what you do. I wish you success in your academic life and a bigger success in your blogventure. Can’t help but love your blog’s new look, by the way. Success with school. 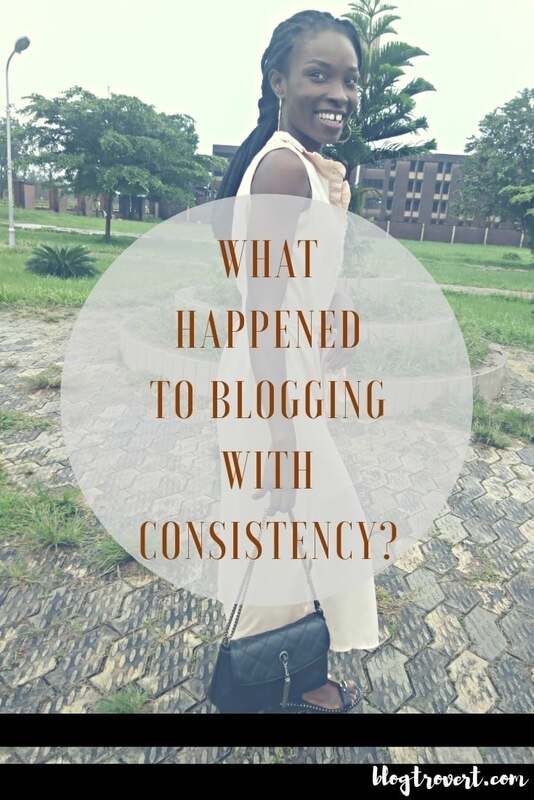 Hope to see you fully back to blogging soon. Knowing you been through alot in school. I feel so glad seeing you graduating soon. It ain’t easy being a student in country like Nigeria. I’ve really missed you here and I wanna say congratulations in advance on your graduation. Love you Miss Blogtrovert. Thank you so much. I look forward to the future.